The controversial actress was seen at her ex-beau’s resting place last Friday. Claudine Barretto visited Rico Yan’s tomb at Manila Memorial Park in Parañaque on Friday, March 14. 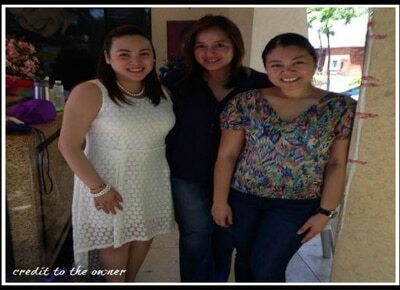 On the official fan page of the actress, Claudine posed in a photo with Rico’s sister Geraldine Yan-Tueres, who accompanied her during the visit. It was the late actor’s birthday last Friday and would have turned 39 years old. Another photo was posted on the page with Claudine having a quiet moment beside the actor’s tomb. Fans, who tagged Claudine and Rico as “The Immortal Love Team of Philippine TV and Cinema” were pleased to see the actress visiting the late actor and commented on the page. “miss you idol kuya rico ,,, mamimiss ko na kayo ni ate Claudine,” Decilyn Deligencia commented. “Touching, be strong,” Raquel Baldo said. “Miss mo n cia cguro,, un kabaitan nya at kaguapohan...ako rin i love you rico hangang ngayon,” Mayette Garcia stated. “God bless Claudine b.kaya mo yan.....kayang kaya,” Lorna Valencia said. Claudine and Rico Yan love team rose to fame during the 90’s. They both starred in the movie Got To Believe and in the TV show Mula sa Puso, among others. Their onscreen partnership led to real life romance. 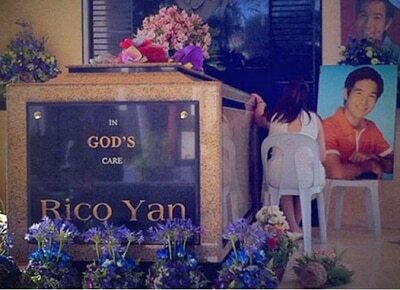 Rico died of cardiac arrest due to acute hemorrhagic pancreatitis on March 29, 2002, weeks after they celebrated their fourth anniversary as a couple. Rumors were also circulating then that the two already broke up before the actor’s death. Got To Believe, which was Rico’s last film, was still showing in theaters when Rico passed away. A portion of the proceeds from the ticket sales of the movie were given to the Rico Yan Youth Foundation.